India's economic growth coupled with reforms like the Goods and Services Tax (GST) could help boost American exports to India in future, the US Trade Representative (USTR) in Washington has said. "India's economic growth and development could support significantly more US exports in the future. India's reform of its Goods and Services Tax regime could help create a common internal market that significantly lowers transaction costs," the USTR said in its latest annual report. "India's new National Intellectual Property Rights policy could protect US innovations," it added. This is the first USTR report on trade after President Donald Trump took charge at the White House in January. The report, however, also noted that existing Indian trade and regulatory policies have inhibited the development of a more robust trade and investment relationship. "While these reforms are encouraging, there has also been a general trend of tariff increases in India, which reflects an active pursuit of import substitution policies," USTR said. The USTR will set in motion the work plans agreed on during the US India Trade Policy Forum (TPF) in October 2016, which will include convening digital video conferences and in-person meetings on intellectual property rights, promoting investment in manufacturing, agriculture, and trade in goods and services, the report said. 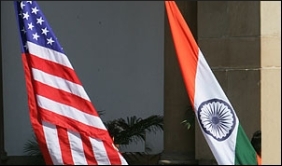 "This regularised engagement will provide an opportunity to achieve meaningful results on a wide range of trade and investment issues, and allow the US and India to partner on issues of mutual interest in advance of the 2017 TPF," it said. India and US have set a target of increasing bilateral trade to $500 billion.